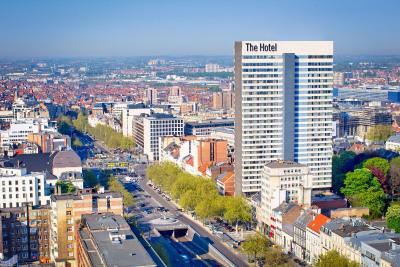 Lock in a great price for The Hotel Brussels – rated 8.9 by recent guests! Come on!!! The staff wasn’t kind and polite. Guys I don’t know why that man made my checking was soo rude! I didn’t like and i will not comeback in this hotel. The modern and stylish room with beautiful lighting and nice view. We could walk anywhere from the hotel, very central. Nice view. Everything about the room seemed well thought-out. Room was spacious. The couch by the window was super useful for relaxing or tossing our coat at the end of the day. Wifi was strong, Nespresso machine worked well, closet space was sufficient! Upon check-out, our 9 pieces of luggage were carefully tagged and handled, and when we were leaving, we were escorted out nicely by the friendly staff from the Philippines. Everything was perfect, the room, the staff, the location. It’s a great hotel for couple, the place is just beautiful and the view from the room is awesome. Everything was mostly nice. And believe me, I’m a stickler about hotels. Breakfast was really great for my taste. Don’t order in, go downstairs to the buffet. 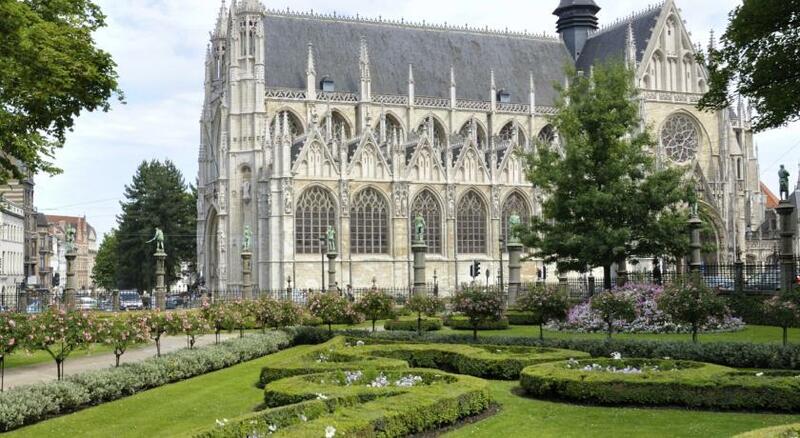 Centrally located, moments walk from the city's most beautiful locations. In addition hotel offers an excellent variety of breakfast options. A lovely hotel in a perfect location. Friendly and efficient staff. Great rooms and an outstanding view (from our room on the 22nd floor though I suspect this will apply to most rooms on most floors). Rooms were well appointed, clean and well serviced. Great free wifi! Only stayed for two nights but would very happily return if the opportunity allowed!! Great breakfast and restaurant! Very happy to recommend the complete package on offer to others! 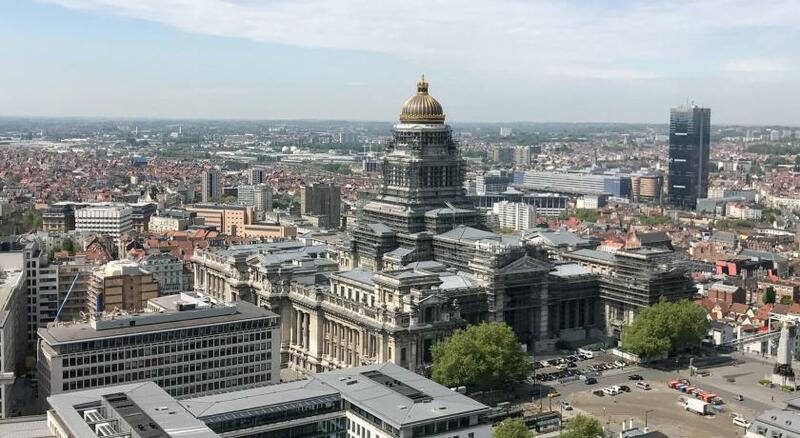 One of our top picks in Brussels.In one of Brussels' tallest buildings within a 15-minute walk from Grand Place, The Hotel Brussels features panoramic city views, an on-site gourmet restaurant and free access to a spa, wellness and fitness center overlooking Brussels. 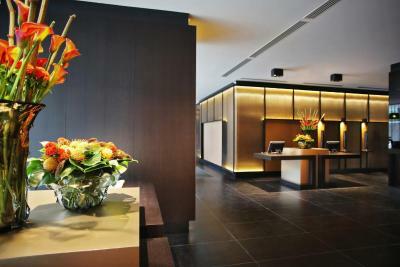 All rooms are air-conditioned and come with free unlimited Wi-Fi access and a complimentary, daily refilled minibar. Each has a flat-screen TV, a safe for a 13" laptop and a Nespresso machine. 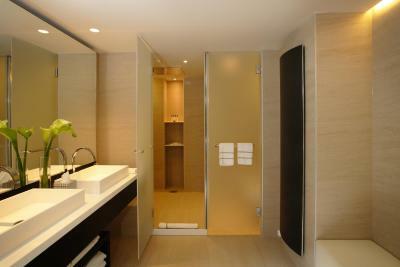 Additional amenities include bathrobes and slippers in the private bathroom. Guests can taste gourmet meals in the hotel's restaurant or enjoy classic cuisine at the bar. Every morning, you can start your day with an extensive buffet-style breakfast. 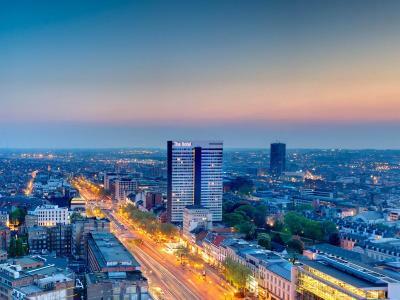 The Hotel Brussels includes a modern fitness center and a spa with a sauna and a hammam. 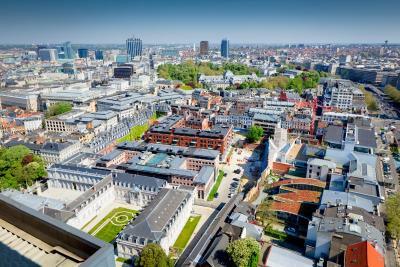 Both are on one of the upper floors, which provide panoramic views of Brussels. 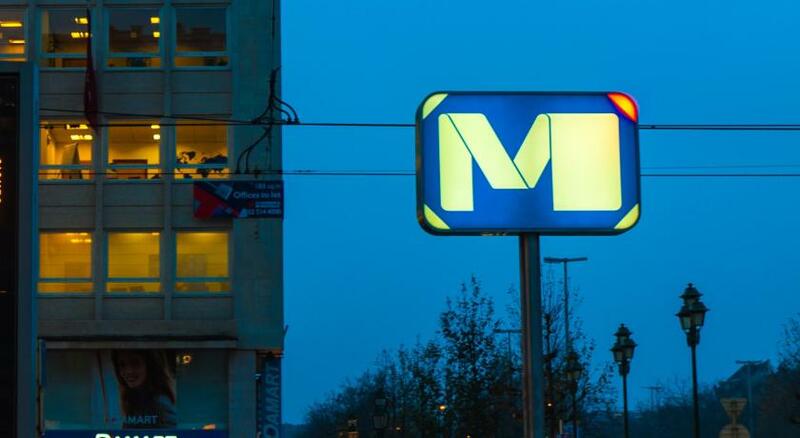 Louise Metro Stop is 650 feet away and provides service to the center of the city regularly. Avenue Louise, known for its boutiques and shops, is 950 feet from the hotel. 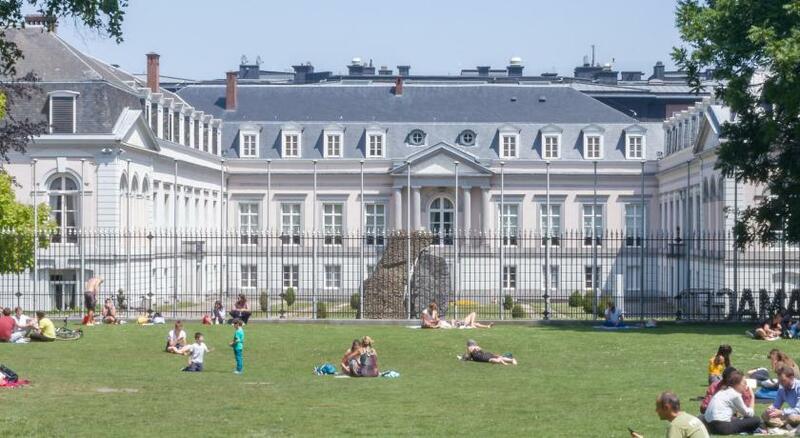 The Magritte Museum can be found just under half a mile away. 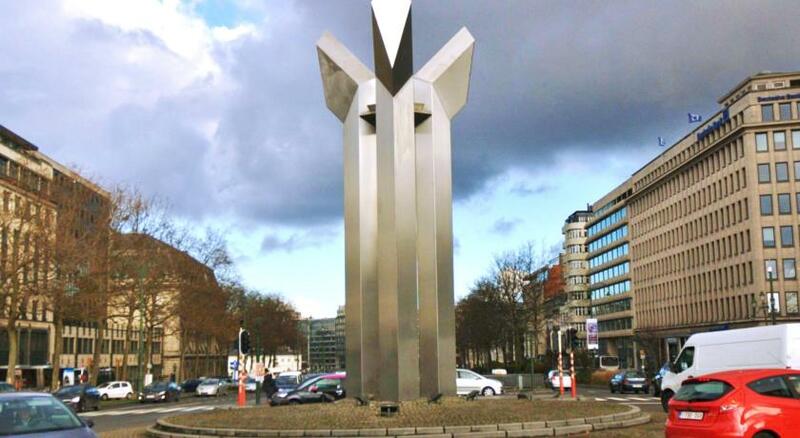 It's a 15-minute drive to Brussels International Airport. 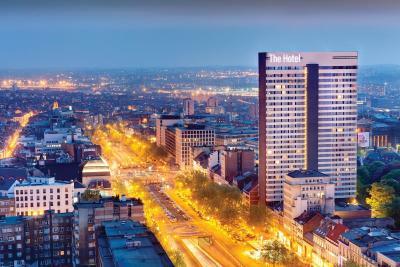 When would you like to stay at The Hotel Brussels? Private parking is available on site (reservation is not needed) and costs EUR 35 per day. This suite features a mini-bar, electric kettle and seating area. House Rules The Hotel Brussels takes special requests – add in the next step! 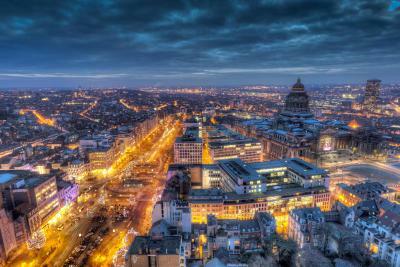 The Hotel Brussels accepts these cards and reserves the right to temporarily hold an amount prior to arrival. Please note that the fitness and wellness center is opened daily from 06:30 until 22:30. The Panorama Lounge is opened from 07:00 until 22:00 everyday. Please note that only guests staying in the Deluxe Room have access to the Panorama Lounge. Please contact the hotel after making a group booking for the detailed conditions (see Policies). The bed was short for my partner and the pillow were hard. The breakfast was perfect as usual. And the location on point for shopping. No windows available in the rooms.. The view from the room was breathtaking . The breakfast was excellent. very good breakfast. the gate is in decoration. 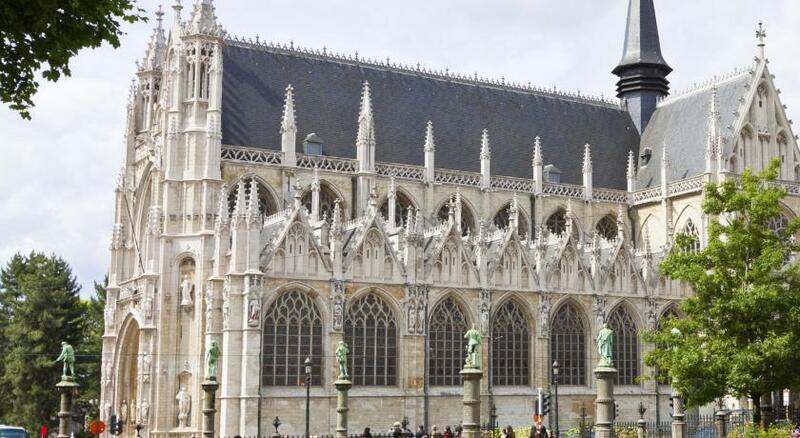 some distance to the grand place. The Checkin was great, we asked if we coudl get a room on a higher level and the Receptionist kindly looked for one and got us on a much higher floor. The room was lean, we had a great view. It is close to a lot of shops and restaurants etc. Very easily accesible. All over we enjoyed our stay very much and I would definately recommend it! Firstly, there was a dirty wet rag at the room when we came in. Not a big deal, honestly. If everything else was okay I would not write this review. But: — windows dirty (if you want to have a good view, just wait the season of windows cleaning) — sauna and hammam at the 23-rd floor were cold at 11:30 — working hours. I had to wait 45 minutes for them to be warm. — HDMI connection with the TV didn't work so we couldn't watch something we wanted to — Telephone didn't work. We had to call to the reception by mobile phone — Staff also forgot to bring a menu or any manual to the room — Finally we couldn't connected the Wi-Fi by phone, only by laptop. But we was to tired to spent money to call to the reception. If you don't care about comfortable service, you can stay here. View was nice. Room is comfortable. Staff was friendly. Great location. Breakfast was very good, great choice. On our 2nd night the barman remembered what 3 of us were drinking from the first night - that was very impressive! Very friendly staff, nice view from our room and room located very close to lift. Complimentary drinks each night in the room. Breakfast. Bread was not really fresh and only one coffee machine serving almost cold coffee. Friendly staff at reception. Clean and nice facilities. Not enough type of breakfast. 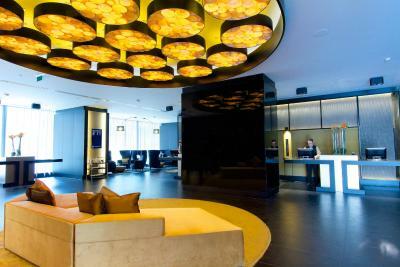 although I paid the hotel's fee in advance, they received a 100 euro deposit upon arrival.